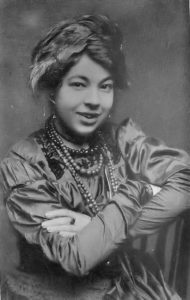 Pamela Colman Smith — also known as “Pixie” — is famous for creating the world’s most popular tarot deck. You’ve probably seen the cards, in movies and television shows. It’s the best selling deck in the world. 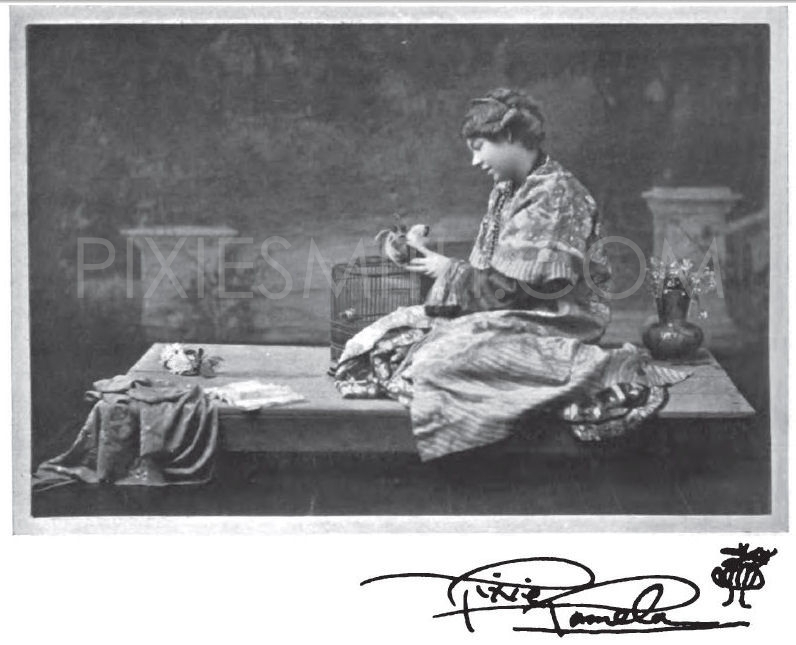 Most people don’t know that Pixie had a long and storied career before the deck was published, too. By the time she illustrated the cards, she had already published three books of her own, and she had been commissioned to illustrate books for several other authors. She was also a world-renowned painter whose watercolor exhibits made waves in London and New York. She picked up additional income by designing theater sets and costumes, and by reciting folk tales and poetry in a spellbinding lilt. She lived in London, Jamaica, and New York, and her circle of friends included poet and playwright William Butler Yeats; popular actress Ellen Terry (the Elizabeth Taylor of her day); Bram Stoker, the author of Dracula; and J.M. Barrie, the creator of Peter Pan. True fame and fortune eluded her, though, and she died virtually unknown in 1951. Twenty years after her death, however, the cards she created were republished, and millions of modern tarot enthusiasts were welcomed into Smith’s world of magic, mystery, and metaphysics.